Age of Empires II The Conquerors Expansion is an add-on to the popular combat and empire building game by Microsoft. 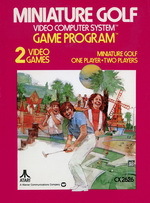 This was a final gold release and had a photocopied manual, so most of the features will be in the commercial release. Installation requires Age of Empires II:Age Of Kings to be installed, and takes a minimum of 82.4Mb or maximum of 229.8Mb of hard disc space. A new intro avi file and splash screen (shown above) are just the beginning of the new features. 11 new units - Conquistadors, Eagle Warriors, Halberdiers, Hussars, Jaguar Warriors, Missionaries, Petards, Plumed Archers, Tarkans, Turtle Ships and War Wagons. 5 new civilisations - Aztecs, Huns, Koreans, Mayans and Spanish. 26 new technologies - Bloodlines, Caravan, Herbal Medicine, Heresy, Parthian Tactics, Theocracy and Thumb Ring. In addition to these, each civilisation has a unique technology that no other can research. These include Garland Wars (Aztecs), Shinkichon Rocketry (Koreans), El Dorado (Mayans), Drill (Mongols), Mahouts (Persians), Zealotry (Saracens), Supremacy (Spanish), Crenellations (Teutons), Artillery (Turks), Berserkergang (Vikings), Yeoman (Britons), Logistica (Byzantines), Furor Celtica (Celts), Rocketry (Chinese), Bearded Axe (Franks), Anarchy (Goths), Perfusion (Goths), Atheism (Huns) and Kataparuto (Japanese). New Campaigns - Attila the Hun, El Cid, Montezuma and other conquerors. A difficulty setting has been added as well as a scouts tab to improve reconnaissance. New Game Types - King of the Hill (control the Monument in the centre of the map for a period of time), Wonder Race (no combat, just the first to build a Wonder wins), Defend the Wonder (one player starts with a Wonder surrounded by walls, and must defend it from the enemy). More maps - Arena, Ghost Lake, Mongolia, Nomad, Oasis, Salt Marsh, Scandinavia, Yucatan and Random Land. Real world maps based on locations in Britain, France, Italy and Texas. Winter and Tropical terrains. Other additions - farms automatically replants when the food has been gathered from them, ships move in formation like land units, villagers are smarter, smart siege weapons, improved trading and tributes (in lots of 500), friend or foe colours, plus improvements on the game play and AI intelligence. The game play is the same, but with the difficulty levels you can play campaigns that would have been too hard to play if you were a beginner. Playing the El Cid campaign, for example, starts with a one to one combat with a champion. When you win, another champion on horseback challenges you, and you are lead to the castle to get a horse. After you win that, your objective changes to more tasking work, but it's a gently start to the adventure. The new menu screen showing the choice of campaigns, The Conquerors campaigns menu, Attila the Hun campaign, the beginning of the El Cid campaign. If you have tried Age of Empires II: Age of Kings and thought you have played it all, then this expansion pack will give you several more hours gameplay. The campaigns are low in number under each category, like one in some, which means the elaborate menu screens have little in the way of choices. The Attila the Hun campaign is just a choice of difficulty level. The introductions to each though have been well done, with pencil drawings and a spectacular soundtrack, setting the atmosphere for the ensuing game. The Conquerors expansion disc adds some improvements to the original game, and will please fans of Age of Empires II.